I've been working on my room, slowly but surely, for the last few months or so. 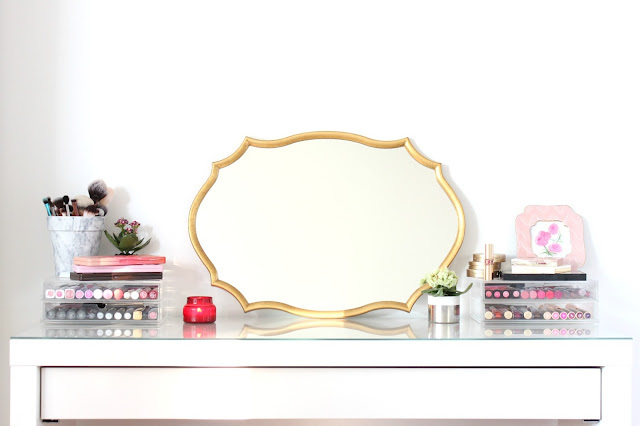 I recently painted it white, and purchased a gold framed mirror for above my vanity (from Zara home, which doesn't seem to be available to link anymore). I'm still having trouble finding a nice chair, but I thought I would share my up-date photos so far! 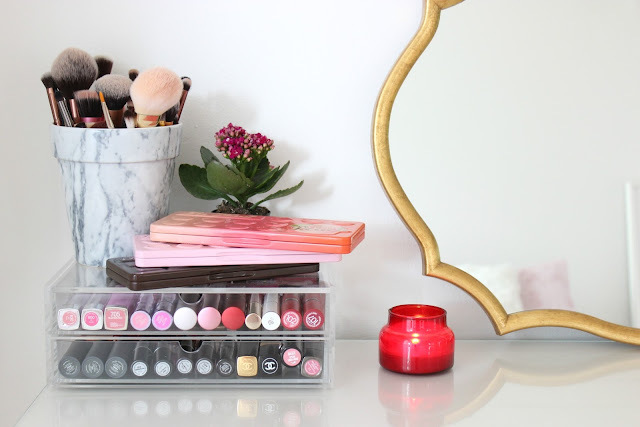 I keep all my lipsticks in two separate Muji storage units on top of my vanity, because that's something that I'm always changing my mind about. 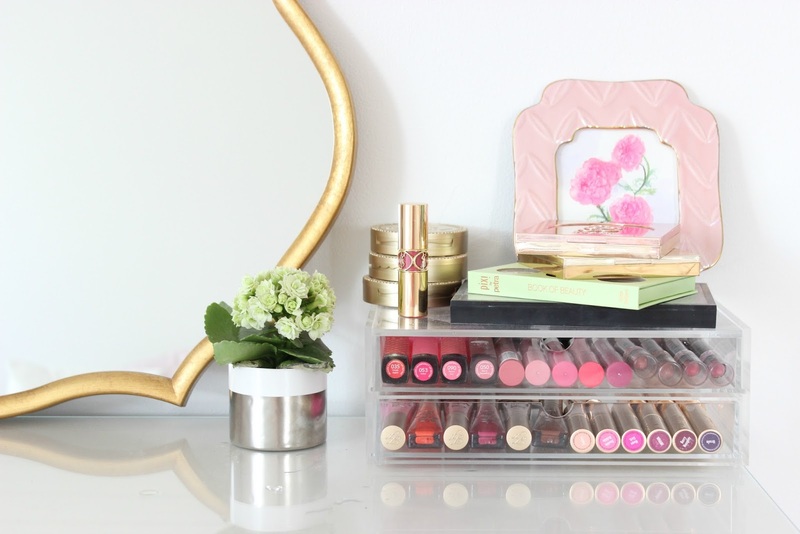 In addition, I keep my Mac, Stila, and Too Faced palettes on top, partly as decoration, and partly so I can reach it easily whenever I need it. I also have some plants, a candle and pictures for some added prettiness (totally a word). I still need to hang the rest of my photos above my desk, but having plaster walls can be a real challenge when it comes to hanging pictures. Inside, I just have Muji units to separate different items. Primers in one, foundations together, eyeliners, etc. On the far right side, I keep items that I've yet to try out, so I can try and grab them and experiment more. I hope you like my setup, and I'd love to see what your makeup area looks like!